Further more we have access to training centres nationwide meaning we can deliver training closer to you. Accidents are common in any industry, but it’s the construction sector where these accidents are most likely to be fatal. Working at height can be dangerous and fatalities through falls are an unfortunate feature in construction, making it vital to have the right equipment and fall arrest training to prevent such accidents as much as possible. Everyone that wants to work in the construction industry needs to undergo height safety training before they can even hope to secure a role, because having the right tuition is a prerequisite for working in this sector. The right fall arrest training will ensure that everyone knows how to operate the necessary equipment and how to keep everything in proper working order, with proper fall arrest training giving everyone the peace of mind that they need to work in such an environment. Ultimately, height safety training is there to keep everyone safe and operating within the law, and is a vital part of the construction industry. There are a number of fall arrest courses to choose from depending on your needs and circumstances, and whether the height safety training is for you or your employees it’s important to choose wisely. The right height safety courses can often mean the difference between life and death so making the right decision is vital, and luckily we’re able to provide comprehensive height safety courses and PPE training to ensure you’re fully prepared for working at height. Here at Heightsafe we’re proud to offer height safety courses and fall arrest training that will give you the skills you need to work at height in confidence. 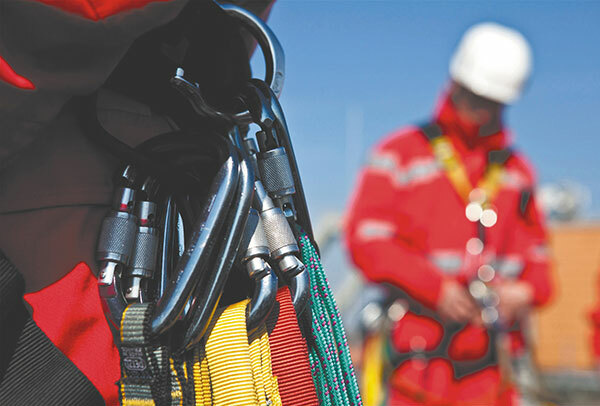 Our two-day fall arrest courses will take you through everything you need to know in the realm of height safety, letting you understand the importance of having the right equipment as well as showing you the procedures that need to be followed to ensure the total safety of everyone involved. Our PPE training is comprehensive and ensures you’ll have all the skills necessary to succeed in your new role, and after you’ve embarked on one of our height safety courses you can be confident that you’ll be as safe as possible. Our height safety courses will take you through the basics to the more advanced aspects of PPE training, ensuring you know just what to do to stay safe in such a situation. After you’ve completed one of our fall arrest courses you’ll have a recognised qualification that shows you meet all necessary industry standards, ensuring you’ve got the best chance possible of succeeding in your new role. With comprehensive fall arrest training you’ll have far less to worry about, because although working at height will always be risky, with the right knowledge and PPE training behind you you’ll have all the skills necessary to help ensure your safety. So, if you’re looking for fall arrest courses or PPE training you can count on make sure to get in touch, and you can be confident that you’re doing everything you can to ensure the safety of everyone involved.